Before I make some coffee and go and sit in the sun, I've taken a little time to update my blog. I'm in my attic room (where my work room is). Normally it is a very hot place when it is very sunny but i've got a little airco and this helps to keep me cool! The weather is warm and sunny, and I have three more days off from work. Bliss!! It is the first pattern I haven't designed myself but I love it!! Leuk zijn ze, ik vind haar ontwerpen ook zo geweldig. What are the measurements on your purses? I like that you made the straps instead of the handles....was that included in the pattern? The purses have different sizes. I have made the straps after my own design. I believe the pattern says differently. 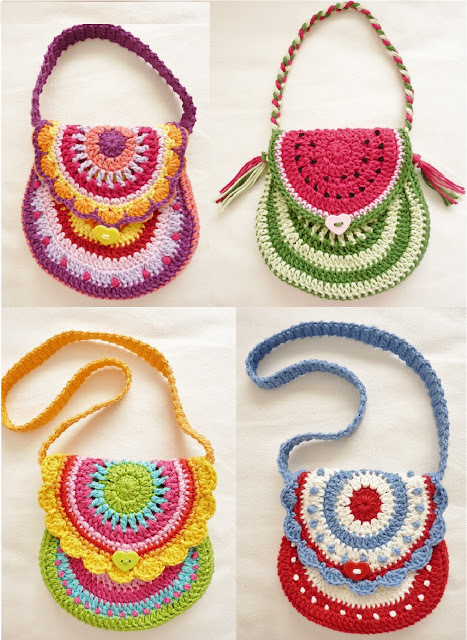 Where can I buy the patterns for these cute purses? By populair demand; Pattern of my Birdhouse! !